The world leading multinational information company HP has introduced HP ENVY Phoenix 860 Desktop PC with 6th Generation Intel processor and an eye-catching body design and enhanced features. The HP ENVY Phoenix 860 Desktop PC step ahead with a dashing and compact body design and owns a unique dimension which includes 6.5 inches in width, 16.54 inches in depth, 15.79 inches in height and is light weight so you can transport it anywhere. The Phoenix 860 Desktop PC is packed with the most powerful and effective 6th generation 4.0GHz Intel Core i7-6700K Quad-Core processor with 8 MB shared cache integrated with 6 GB Nvidia GeForce GTX 980Ti graphics, and it is given life by the world’s most advanced operating system of Windows 10 Pro 64-bit, which offers you a lightning fast switch between programs. 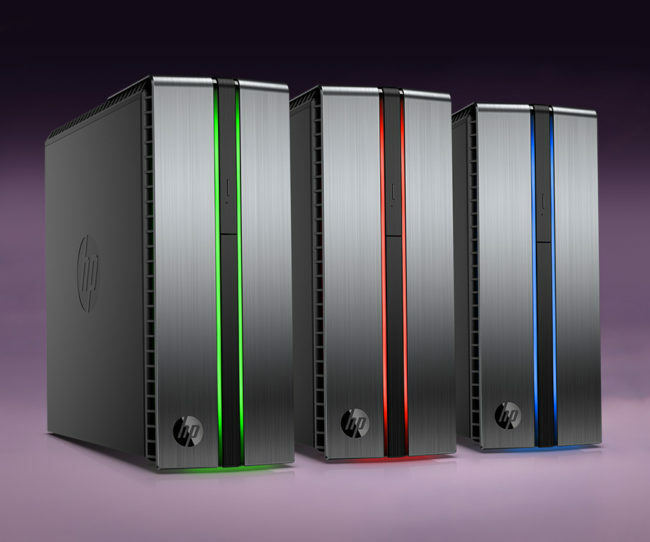 The HP Phoenix Desktop has infixed with an immense 3TB SATA 6G 3.5 Hard Drive at the blazing fast speed of 7200 RPM, which enables you to make your, videos, songs, movies and games garage and a lot of other stuff like e-books and presentation documents and a sparkling fast speed 32GB DDR4-2133 DIMM (4x8GB) RAM, which allow you a smooth browsing and fast loading of heavy duty games like a bullet speed. The HP PC has integrated with a sound card and audio speakers, HP wireless keyboard and mouse, SuperMulti DVD burner, 7-in-1 Media Card Reader, 4 USB Ports (Top), Audio [Top 2USB2.0, 2USB3.0] with a limited hardware warranty and available at the cost-effective price.